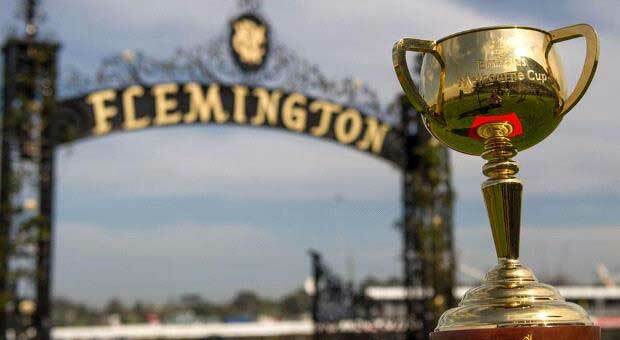 WHO cares if we don’t yet have the final fields in the Melbourne Cup. It is time to get exotic and have a think about just what bets we’re going to have on the race that stops a nation. We’re only five days away from the biggest race on the Australian sporting calendar. And it looks like it’s a race in two, between Winx’s Cox Plate bridesmaid Hartnell and Caulfield Cup queen Jameka. While you won’t find any specials or promotions on the Cup with online bookmakers just yet, it doesn’t mean you can’t start planning which horses you are going to target. We reckon there are a number of decent trifectas, quinellas and even first fours that you could look to have a crack at. Jameka all the way in this one. The monstrous mare, who shares a namesake with perhaps the greatest female tennis player of all time, Serena Williams, is the $6.50 second favourite with Sportsbet.com.au and she simply must be included in all your exotics. Her run in the Caulfield Cup was about as good as it gets. Well, not according trainer Ciaron Maher, who has since said she has improved while waiting to tackle the big race. Her trainer’s words simply do not bode well for the rest of the Melbourne Cup Field. And that’s why we reckon you could go her one out, with a few of the serious chances – and maybe a sneaky outsider to boot. You can’t really have field bets in the Melbourne Cup, so you want to look at form and fame to hopefully come up with a few half chances who can give the rest of the field a run to come second. Hartnell obviously has to be there, but we have a very slight question mark. The favourite – like Jameka – has never run the full distance before and, given that in the Cox Plate Winx absolutely slaughtered the gelding in the Plate, he hasn’t had much of an easy time up against those pretty mares. For us, his best hope here is second. The raiders keep on coming for the cup and you feel like Irish stayer Bondi Beach is certainly capable of giving Jameka a run for her money. With Scottish out of the Cup, it, along with Big Orange and Exospheric look like dangers. Big Orange is a seriously classy stayer. It’s been in the top three in each of its last four races, all over distance, including winning the prestigious Goodward Cup last start, but will be coming back off a 13 week spell and it will be interesting to see how it recovers. You always want to slot in a little value on the cup, and you could do worse than Godolphin stayer Qewy. The Geelong Cup is always a good guide and the international raider did it nicely. Can the bay gelding emulate the likes of Media Puzzle and Dunaden and do the Geelong Melbourne Cup double? Jameka has the staying power to eat up the Flemington turf and the final burst to leave everything else in her wake. You don’t want to go completely nuts with your selections, but you also want to give yourself a chance of winnings, especially if you are making a big investment, like that of a First Four. The Irish raiders have come thick and fast this year and there’s another one who has a slight claim at long odds. Gallante, at a juicy $51, has won over $2 million in its career, so it knows how to claim big races. We know it can stay the distance, because it won the Sydney Cup in April over 3200 and could be a really sneaky speak at juicy odds. It ran only seventh in the Moonee Valley Cup last week, but you would think it should be better for the run and we reckon this mean machine could cause some surprises. The Moonee Valley run hurt its odds but it’s a better horse than that and, if it can produce close to its finest form on the day, is every chance of finishing in the placings. Pentathlon is an experienced gelding that has just $85,000 in winnings to its name. It’s got Prince of Penzance written all over it and, while we don’t think anything is going to challenge Jameka, wouldn’t it be a sight if a $100 outsider came home for the second year in a row? As always, it is cup day, so have some fun with your bets, but make sure it is fun and you are using money that you can afford. Don’t break the bank chasing dreams. Take it easy and revel in the winnings if your exotic happens to get home.